Earn $26.99 in VIP credit (2699 points)What's This? 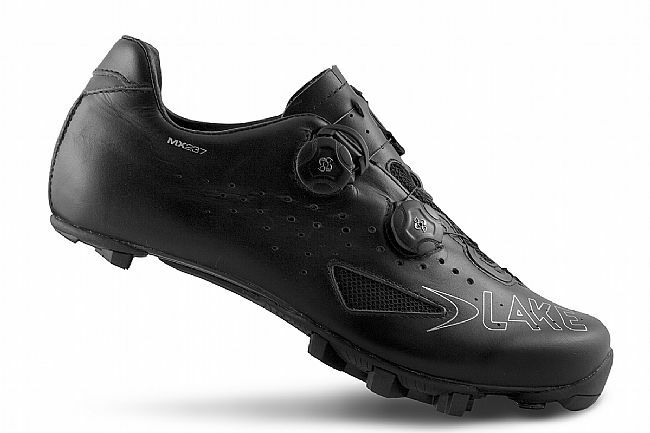 The MX 237 Wide MTB Shoe from Lake features full grain leather and mesh construction that breathes and conforms to the foot. 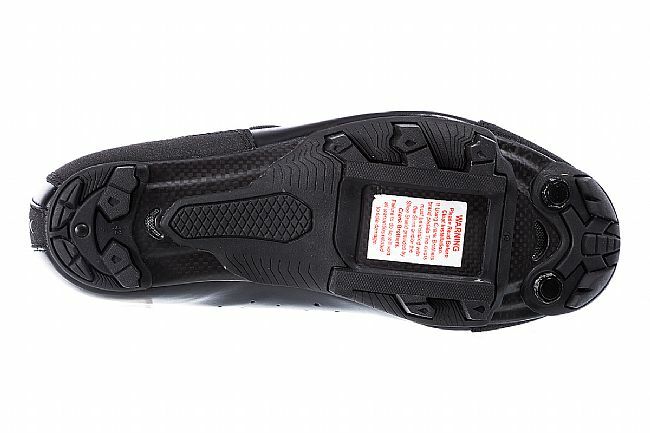 A tighter heel and larger toebox with an additional 15mm of volume in the ball of the foot provides an exceptionally secure fit for high pressure riding and racing. The carbon fiber sole and Mountain Race X rubber sole facilitate efficient power transfer through the bottom of the shoe into the pedal. Dual side push/pull BOA L5 lacing with releasable lace guides enable a custom fit. Extra 15mm of volume over standard width. Outsole: Lake Race Carbon Fiber with Mountain Race X rubber sole. Upper: Full grain leather and mesh with leather heel lining. Closure: Dual side push/pull BOA L5 lacing with releasable lace guides. Compatible with 2-bolt MTB cleats. Disclosure. I am a board certified pedorthist. I have extensive experience with cycling shoes. Excellent quality shoe. Dual Boa rocks. I used Lake recommendation on sizing. Way wider than spec. Is Lake even on the same planet? Do they periodically QC their line for sizing? With orthotics and experimenting with shimming and reducing heel counter width, i was able to make them fit. These people are wonderful to work with, helping you decide the best shoe and the best size. I doubt I will ever buy a shoe other than a Lake again.